Violations of international labor laws, low wages, and terrible working conditions are just a few of the ways some retailers have conducted business. 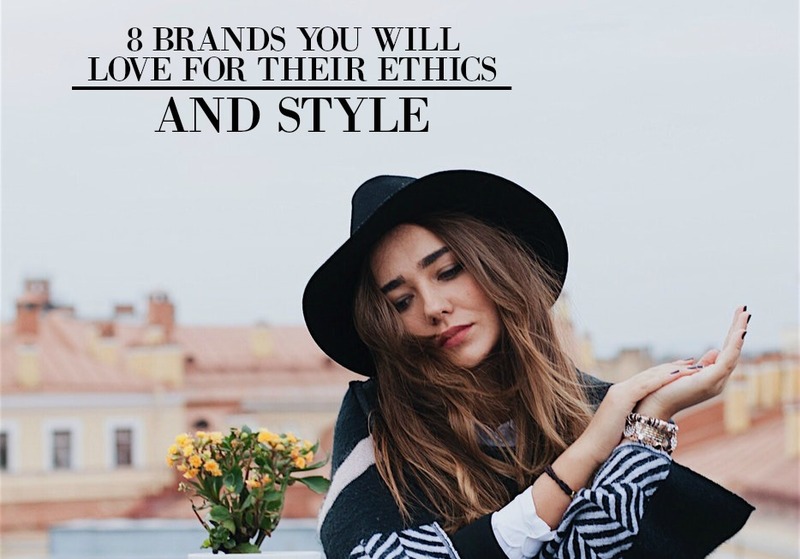 But with so many brands to choose from that have ethical practices, we don’t have to worry about shopping at some of these retail stores. And below is a list of ethical clothing lines we should actually be giving our money to. So check them out and let me know what you think! Alternative Apparel: With a focus on transparency, Alternative Apparel has plenty of cute comfortable clothing. Their line is casual for both men and women. Using materials such as organic cotton and eco-friendly dyes, these are some sustainable practices we can get behind. Amour Vert: Using organic cotton and other great materials, Amour Vert also partners with American Forest. And this means that a tree will be planted in North America for every purchase made. Cotopaxi: A big bold “Gear For Good” is their focus and main statement. Cotopaxi works with several organizations to provide health, education and jobs in developing countries. They also give 2% of their revenue to help poverty and strive to be a people focused company. Another plus is their inventive and considerate approach with examples such as making gear with leftover fabric and insulating jackets with llama fiber. Everlane: With their main focuses on transparency, ethical factories, and amazing quality, this brand is aiming to make a difference. Everlane has factories around the globe and all are regularly audited for things like reasonable hours and fair wages. Sourcing their materials from around the world, they focus on quality and state they aren’t big on trends but they are big on their pieces lasting. FashionABLE: This brand empowers women in countries like Ethiopia and Kenya to bring their families out of poverty and get an education. FashionABLE started with a single collection of hand woven scarves but has now grown to do many other things such as leather goods, denim, and footwear. Matter Prints: This company directly supports artisan communities and individual artisans using heritage techniques passed down through the generations. Matter Prints’ core value is to make rural artisan production sustainable. PACT: Specializing in affordable basics, PACT uses Fair Trade Certified Factories and organic cotton. Based in Boulder Colorado they also promise to not use toxic dyes and keep their ingredients clean. Reformation: A popular USA owned brand that uses eco-friendly fabrics made from old clothes and other great practices, provides a low impact on the environment. Reformation manufactures its garments in Los Angeles and uses recycled material packaging. Finding new brands that treat humans and the environment well is thankfully not that hard. So if you’re wanting to stock up your wardrobe this year, but not shop at bigger retail stores, then definitely check these brands out!